I have really enjoyed doing these posts for the last few years. First I share the list of my goals for the year, and then I check in with how things went at the end of the year. It is truly crazy how fast time goes by, and if you don’t set specific intentions and goals for each year, it is so easy to just let your whole life go by on auto-pilot. Kind of just letting life happen to you instead of making it what you want. Basically, it’s the difference between being proactive or reactive. It has been super helpful to me to have a rough game plan for what I want to tackle each year! Looking back at 2018, all I can say is that it was QUITE the year. I’ll try to kind of recap in a somewhat brief way, all the biggest things that happened to us, and the things I have been thinking about and learning. In March, Chris went on a work trip to Tokyo and this realization dawned on me that I had never been completely alone for a whole week in my entire life. Crazy right? Because I went from living with my family till I was 2 years into college, finished college in California living with 5 other girls in the dorm, and then marrying Chris straight out of college! It was while he was on that trip actually, that I had an experience that would shape a lot of my thoughts and priorities going forward in life. It was life-changing for me. Because it’s a long and emotional story, I wrote an entire post about it that you can read here. Basically, I discovered the enormous need to help rescue shelter animals and it really took priority over all the other things in my life. I felt an urgent desire to do what I could to help ASAP and really focused on trying to find the best way I could do that. It took about a month for me to regroup and pour myself into learning more about the complexities of animal rescue. And wow, I learned a ton! I discovered Kitten Lady on YouTube and she is an absolute wealth of information! Also, my new hero. A professional kitten rescuer?! If I had known that was a thing when I was little, that’s what I would have wanted to be when I grew up! She is awesome and so completely selfless. Because Chris and I weren’t ready yet to adopt a dog in need (a huge desire of mine!) we decided fostering cats was the best thing to do right now to help. We are already super familiar with cats and how to take care of them. From everything I learned from Kitten Lady, she taught me that pregnant cats, mamas with kittens and orphaned neonatal kittens are the biggest need in shelters as they are most likely to be euthanized. That’s because they are extra work to keep alive and shelters just do not have the time or resources to do that without the help of people stepping in to foster them. I watched every single YouTube video she has, read every blog post and then decided to throw myself headfirst into trying! I was still super scared and didn’t know quite what to expect since I had never done it before. But I knew I wanted to start now and just try. The greatest need at my favorite rescue here, Austin Pets Alive, was fostering pregnant mamas. They had just taken in over 40 of them from high-risk shelters since it was the beginning of kitten season! It’s one of the longer term fostering gigs since the whole process takes about 3-4 months. From the prenatal mama stage through the kittens being weaned and old enough to adopt at 8 weeks old. I plan to write a whole post with everything I learned and how it all worked during that whole process. The short story is that it was the most rewarding thing I’ve ever done! It was really emotionally tolling at times because of worry and stress that I was doing everything right and because the mama was SUPER sick with a cat cold when I picked her up. She didn’t eat or drink for 3 days and I was convinced she was going to stop breathing and die on me. But she got better, and we all got through it in one piece! All 5 kittens were adopted to their forever homes and we kept the sweet mama because I just loved her SO much. We named her Esme Fleur and she is the sweetest little lovebug ever! After that, we had to do the introduction process between her and our other 2 cats since she had to be separate with her kittens the whole time. Progress was much slower than we expected and that was stressful but all 3 kitties get along fabulously now and are great friends! Because of what I learned about the rescue world, it shifted my priorities going forward the rest of the year and I decided that being involved is my first priority now, and I will fit my other goal of growing my lifestyle blog around it. 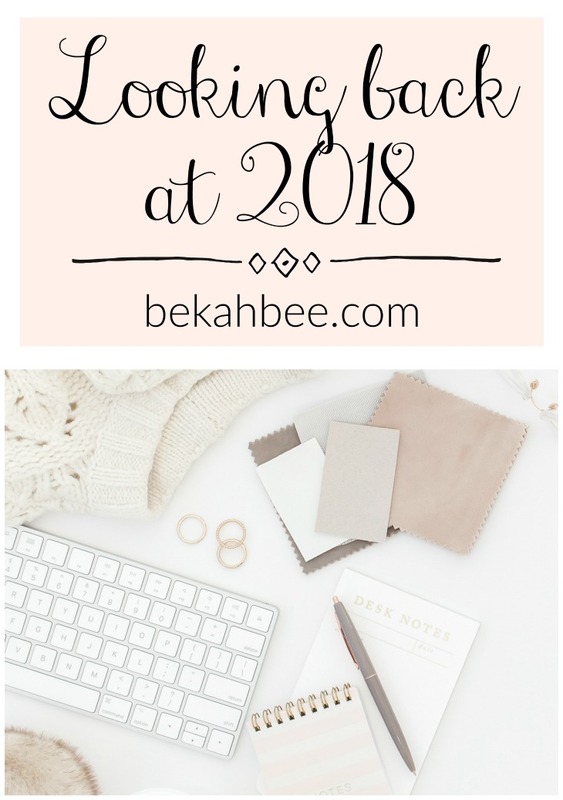 So many of those goals I set for my blog did not happen, in fact, I only wrote 5 posts in all of 2018! I am ok with that though because I am super passionate about how I can balance both those things this year and it really helped me narrow in on my overall life goals going forward. After delving more into the rescue world I also learned about other things going on that I want to help support. There will definitely be more posts with details later. Once life had calmed down a tiny bit after the kittens were all adopted, we had a very short-lived calm in our lives before the storm. Right after I had decorated the whole house for fall, deep-cleaned it top to bottom and filmed my fall home tour…our house flooded. To be more specific, our downstairs toilet overflowed due to a break in our sewer line and a tree root that was clogging it. It only overflowed for a few minutes but the damage was extensive. We had no idea it was such a big deal till the plumbing company came and told us how serious it was. It turns out water damage is a really big deal, especially when it involves water from a sewer line. We had to have water restoration damage done where they basically tore apart most of our downstairs. And then we had to find contractors to put it back together again. The whole process from start to finish took about 2 months until we could live downstairs safely again with our cats. During this whole mess, we had to keep our poor cats sequestered away with us in our master bedroom since workers were always coming and going and the house was not cat-safe in the slightest. It was extremely stressful for us and 3 cats basically living in our bedroom upstairs 24/7 for months. When everything was finally done with the exception of a tile floor that was going to be done the next week, we let the cats have freedom. After only about 2 days, our cat Chester injured his back leg with the cat equivalent of a torn ACL. It was all completely devastating and even worse to us than the flood because our cats are our whole world. Seeing him injured and in pain gutted us. He had to have surgery and was put on 4 months of rest while his leg heals fully. It was extremely hard for us to go throuh, and we miss our Chessie Boy SO much since he can’t run around the house right now and is in our guest bedroom by himself while healing. We visit him as often as possible and try and keep his spirits up! Keeping your pet on basically bed rest for months is no joke! It is super hard on us and on him. I am praying so hard that he does fully recover the use of his little leg and can go back to his normal, happy life! We still have like 2 months to go. This brought us to the end of the year, and thankfully we had a nice, quiet Thanksgiving and Christmas. We both got to see our families for early Christmas celebrations so that was awesome! I was doing great at my goal to drink more water for the first part of the year. But.. all that went to crap when the flood happened and we were living in survival mode! The flood was probably the most stressful thing we have ever gone through in our marriage. I am so thankful we got through it and now it’s over. My exercise goal did not happen. I was doing better at waking up early at the beginning of the year but it didn’t last long. My makeup skills didn’t improve much yet! The perfect winged liner still eludes me, but I think I learned a few things to try going forward. My word for the year as far as self-development was Wholehearted. This is something author Brene Brown talks about. 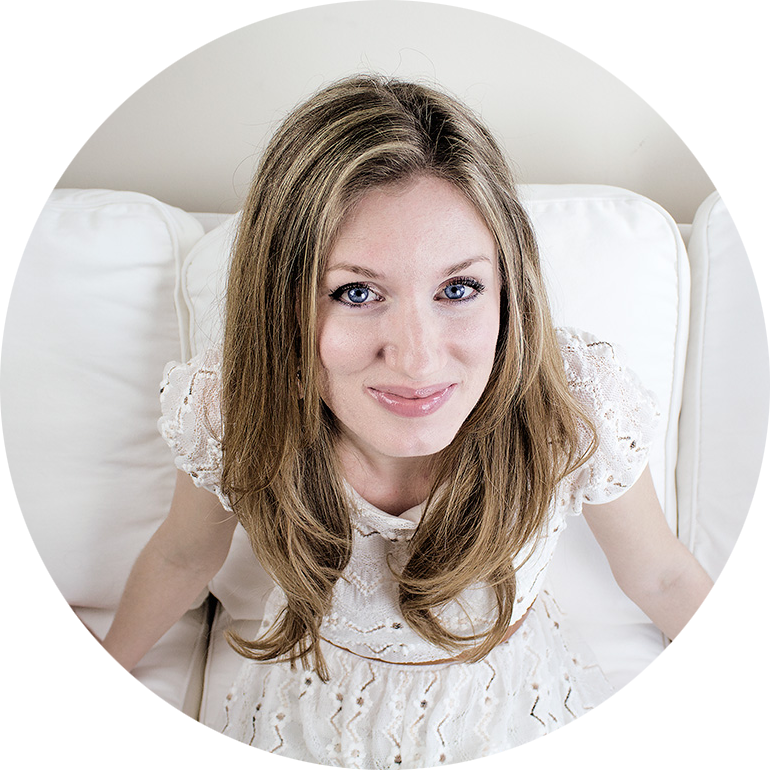 She explains the concept as living life with an “unarmored” heart. I just loved that! It means allowing yourself to be vulnerable and having the courage to truly let yourself feel things. But it opens up the door for you to be hurt too. I truly took that concept to heart and I definitely think I made it a part of who I am. I let myself feel things without protecting myself from the possibility of being hurt. Because this was the focus of my year, it was the reason my heart was SO broken for all the animals I learned about. And why I want so strongly to help advocate for them. My whole life, I’ve been someone who “armored” my heart. In fact, one of my besties pinpointed the perfect word to describe me in the past: stoic. It has been a process the last few years to do a lot of soul-searching and self “therapizing” to get to the root of this and learn how to let myself be vulnerable. Because I have allowed myself to do that now, I can tell you for sure I am no longer stoic! Things hurt me very deeply and I cry a lot about things that are sad, and I really FEEL them. But I think that is the only way to truly live, and the way we were intended to live. You can’t truly love other people or animals unless you let them all the way into your heart. And that opens the door for you to be hurt, which can seem terrifying. But it also means you experience life and love in a much richer way! I just adore Brene Brown and her work. I think it is SO important and it has had a huge impact on me! All year I was very intentional about constantly filling my mind with things to improve myself and continue on my quest to be a truth-seeker. I listened to a TON of audiobooks, sermons, and podcasts. It’s totally a habit now in my life and makes doing mundane things way more rewarding. It’s so cool to be able to stimulate my mind while getting ready, doing chores and driving! Overall, 2018 was a crazy year. A lot of it was hard, but it was still rich with amazing moments with the ones I love. I learned SO much in life too! What was the highlight of your year?? I’d love to hear in the comments! This entry was posted in Thoughts on 01/14/2019 by bekah.